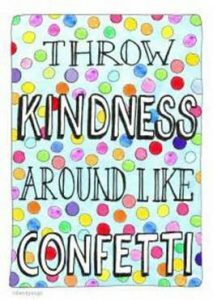 As those of us in the Northern Hemisphere go into the summer season of picnics, parades, beach parties and other seasonal fun with our friends and family members, we should cultivate a habit of putting kind acts on our schedules too. No matter how much kindness we share, it never runs short—there’s always much more to go around! 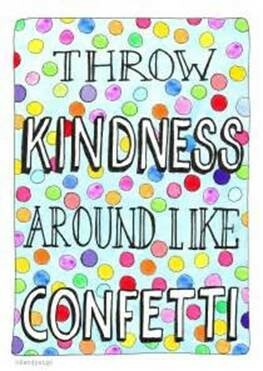 Like real confetti, it makes life brighter! This is great, Meg! Thank you for the reminder! I love the saying! I appreciate you being a part of the Nurturing Thursday community!